1974, and a baby is born on a yacht moored on the estuary of the St. Lawrence River in Quebec. The mother is a lone sailor, the chance midwife a local fisherman. After this portentous introduction silence and time ensue until, thirty three years later, a tourist from Montreal comes to the village of Caplan on the estuary searching for her biological parents and for a woman called Marie Garant. Catherine Day was adopted at birth and it doesn’t take long to deduce that she is the original baby and that a plot will revolve round the identity of her true parents and the mysterious Marie, skipper of a sloop. This intrepid mariner is well-known in the village, but currently absent, presumably on one of her strange solo adventures but the mere mention of her name stirs smouldering fires in women as well as men. There are hints of violent and varied passions. Marie was a ravishing beauty and a whore; she is hated and reviled, loveable and adored. She is raving mad. She is also Catherine’s mother. And now she comes back: caught up in a fisherman’s nets, drowned but with a deep head wound. The body is sent for autopsy and a cop arrives: fugitive from the rat-race, a Mexican-American who comes to the conclusion that the death was not accidental. As he searches for a killer, Catherine is on a converging course looking for her father. She is also a suspect, being her mother’s heir. 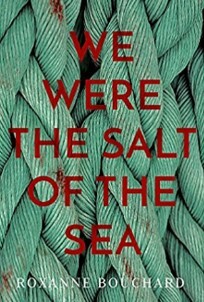 Characters are well-drawn, from Moralès, the cop, and his sturdy inspector, Marlène, to the husky fishermen who were Marie’s devoted suitors three decades ago. There’s a comic element: the chef at the bistro, a mine of misleading information; the alcoholic priest who was never ordained – and the appalling undertaker who was once a used-car salesman and never forgot the spiel. The dialogue is mostly rural Quebecoisse, translated as spoken so one may forgive repetition of colourful oaths while suggesting that there is sometimes a case for curbing the desire for authenticity. An exotic curiosity, raw nugget rather than gem but worth the read.